There are some trends that seem to come back summer after summer and ombre is at the top of that list. 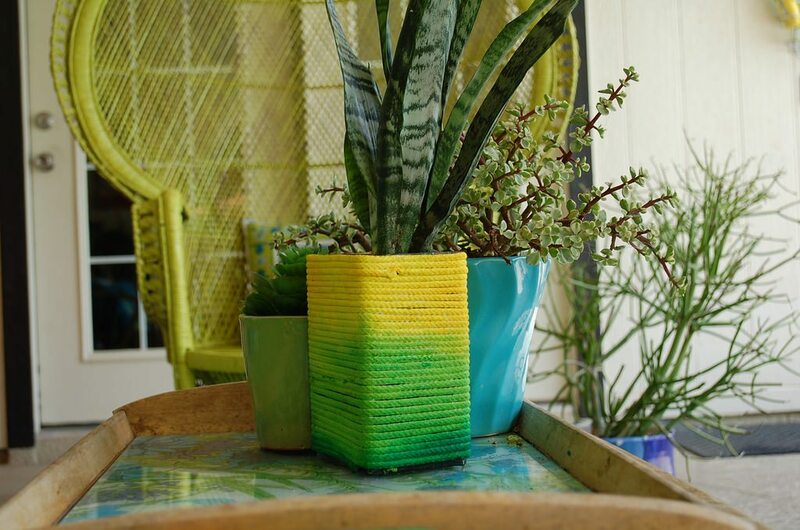 The technique is so easy and can be applied to so many things – bedspreads, tote bags, t-shirts and my current favorite planters. Typically when you think of ombre, dye probably comes to mind. It usually does for me. That is how I transformed boring brown jute into a colorful ombre sunset. For the record my Halloween heart got the best of me and these guys eventually ended up completely black as Halloween Hanging Baskets for Pumpkins. However, they had a good run as Colorful Plant Coozies. Another fun method for creating an ombre effect is dip dying. A dip dye is when you place the item in a different dye baths or maybe even the same color at different depths for different lengths of time to vary the color intensity. 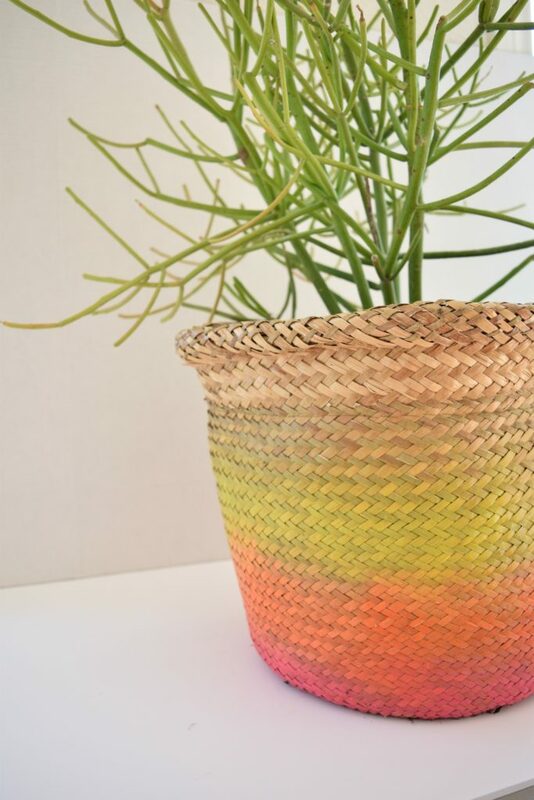 Check out the post I did for I Love to Create with 3 Fun and Funky Ways to Update a Glass Thrift Store Vase, including an ombre dip dye. 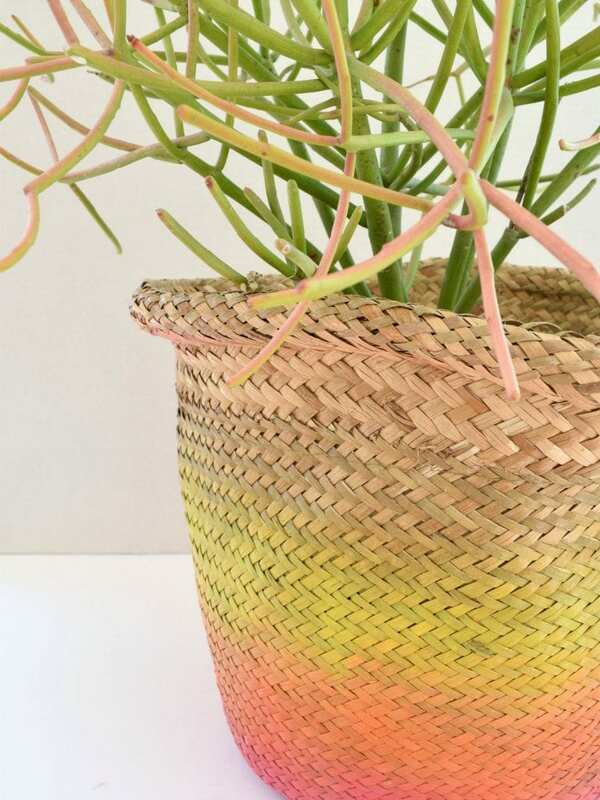 My most recent dabbling in the world of ombre was this neon planter I did for DIY Network. Unlike the others where I used dye this method used spray paint. Super fun and easy, PLUS I adore the way it turned out. Check out the entire post on 10 Ways to Up-Cycle Thrift Store Baskets for more ideas. 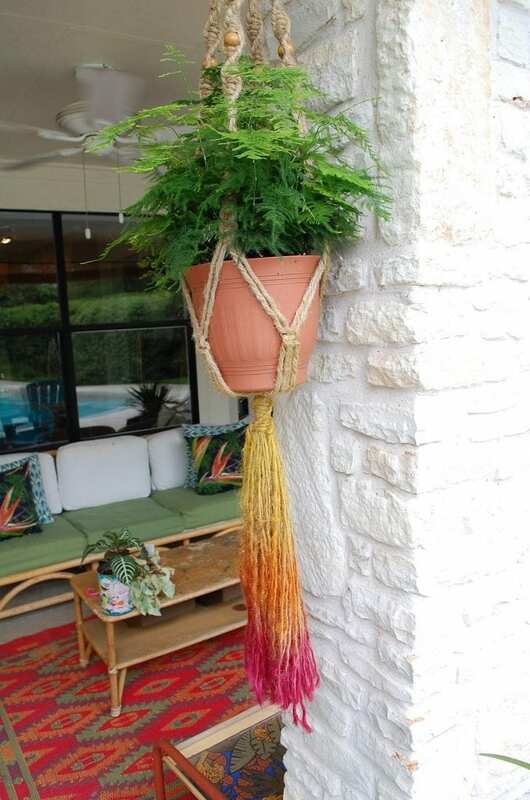 Which ombre planter style will you try this summer? Posted April 26, 2016 & filed under Crafts, Home Décor Crafts, Plant Crafts.